A Brick Township police officer on patrol the night of April 29 stopped to help what appeared to be a disabled motorist, however upon investigation the driver turned out to be a suspected car thief. 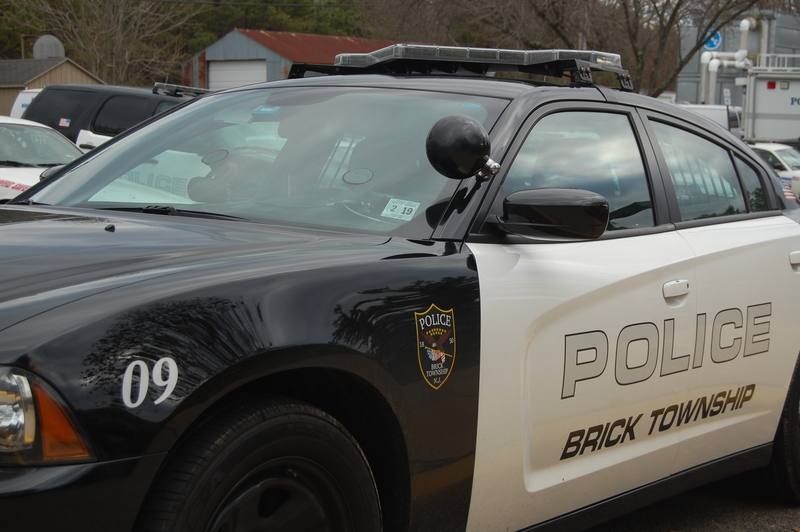 Officer Joseph Riccio was on patrol in the area of Princeton Avenue and Post Road at 3:05 a.m. where he saw the vehicle, a 2005 Subaru, stopped in the travel lane, Sgt. Neal Pedersen said. As he approached the vehicle it moved to the shoulder of the road by Robins Street, at which point Riccio stopped to speak with the driver, later identified as Camilo Galindo-Sanmartin, 27, of Forked River. Galindo-Sanmartin was apparently “staggering” to the front of the vehicle, Pedersen said. Officer Mark Storch arrived to assist Riccio, at which point both officers noticed the vehicle was apparently in the process of being repaired by an auto body shop due to numerous auto body parts inside the vehicle. A front grill assembly was placed on the rear seat, the key ring had a work order tag attached and the front hood had tape on it, commonly used to cut edges in preparation for painting, said Pedersen. Galindo-Sanmartin told the officers that the vehicle belonged to a friend, but he could not recall the owner’s name, according to police. Realizing that the vehicle might be from a body shop, Storch went to Andrews Auto Body, which was a short distance from their location. Upon arrival, he saw that the garage door was open and a window was smashed in the paint booth. The garage also had an empty spot, which had fresh tire tracks in the sanding dust on the floor, said Pedersen. A representative from Andrews Auto Body came to the shop and confirmed the Subaru was, in fact, removed from his shop during the night, Pedersen said. While Storch was confirming the vehicle theft at Andrews Auto Body, Riccio determined that Galindo-Sanmartin was intoxicated and was subsequently arrested. It was also confirmed that Galindo-Sanmartin was responsible for the burglary and theft of the vehicle from the shop, said Pedersen. Officers on scene returned the vehicle to Andrews Auto Body and the owner was notified that their vehicle was stolen and returned to Andrews. Detective Dan Waleski responded to assist with the investigation along with Detective Ed Waldhelm who processed the scene and collected evidence. Galindo-Sanmartin was transported to police headquarters where he was charged with burglary, theft, criminal mischief, driving while intoxicated, reckless driving, careless driving and obstruction of traffic. He was processed and released on summons with a return court date, according to police. His photo was not available.